He went out a lot, trained little and did not adapt; It was Eintracht who channeled him and is now one of the most promising strikers. Jovic came to Benfica with 18 years, very young and to do, and the Lisbon club made the decision to alternate the first team with the team B. That was the first thing that did not like the striker who, like so many players, believes a lot in his possibilities. It could have been that fact, the one that did not feel important, the one that triggered what came later. 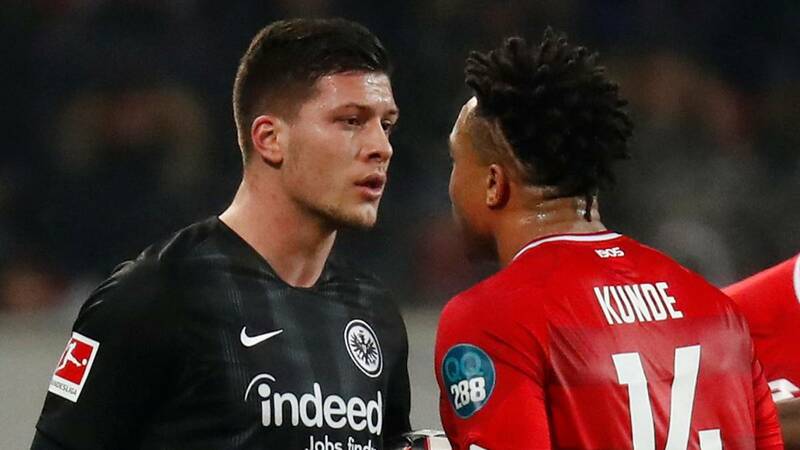 Jovic was not known for a very disciplined player. Constantly arriving at Benfica's directors, his constant nights out and his lack of desire to train. Beyond that there was an event that was the finishing touch for the Serbian in Benfica. It was when, due to the abundant injuries of the Benfica strikers, he finally had the great opportunity that the young man was waiting for. In the pre-match of that encounter, the player appeared in the sports city saying that he had the injured foot because there had been a blow in the pool of his house. This fact did not transpire in the Portuguese media, especially, because there was always a secondary player there. But then the coach, Rui Vitoria, spoke with the president to give him exit. Y was the Eintracht who caught a great player. Those who know Jovic speak wonders about him. Not in vain, with the German team, he has scored 18 goals in 25 games this season, with an impressive average that approaches a goal every 90 minutes. "Addi Hutter, the coach of Eintracht, is blamed for his transformation", says Ace from Benfica. Benfica has happened to Jovic something similar to what he lived with Cristante, now player of Roma. He did not trust him, he gave it to Atalanta with a purchase option of four million euros and the Rome of Monchi signed him for 25 million.